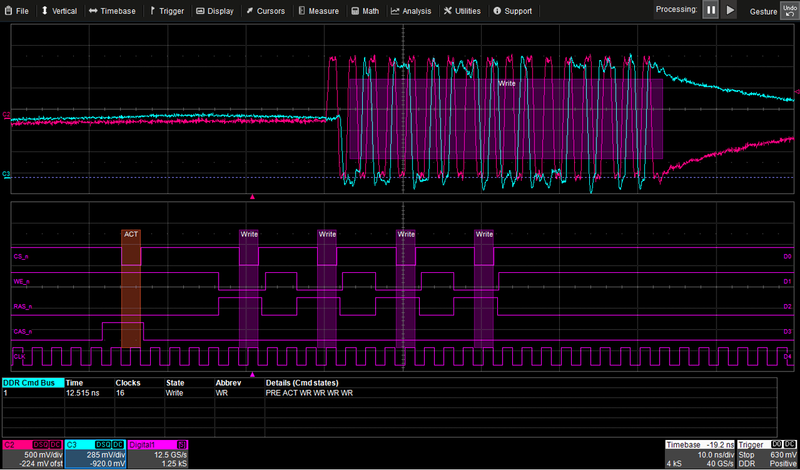 Our last post considered some broad aspects of debugging DDR memory on Internet of Things (IoT) devices, such as how chip interposers can help with probing access and the benefits of virtual probing software. Let's now take a look at some particular examples of problems with these memory chips and their controllers and see how debugging with an oscilloscope might be approached. Figure 1 is a screen shot from an actual end-user's DUT. The DDR memory was behaving oddly, so measurements were taken of the skew between clock and data and between clock and strobe. 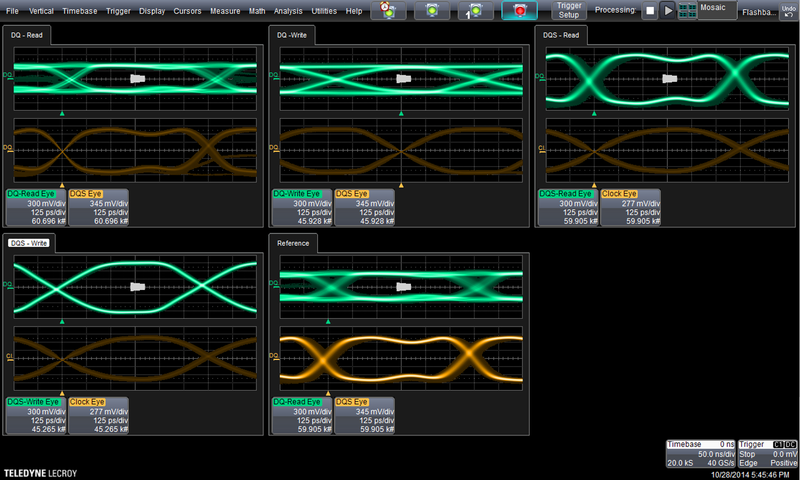 They used the oscilloscope's Track math function to plot the measurements in time-coherent fashion against the source trace. Essentially, you end up with a waveform composed of all of the measurement instances of whatever parameter is being measured as a plot vs. time. 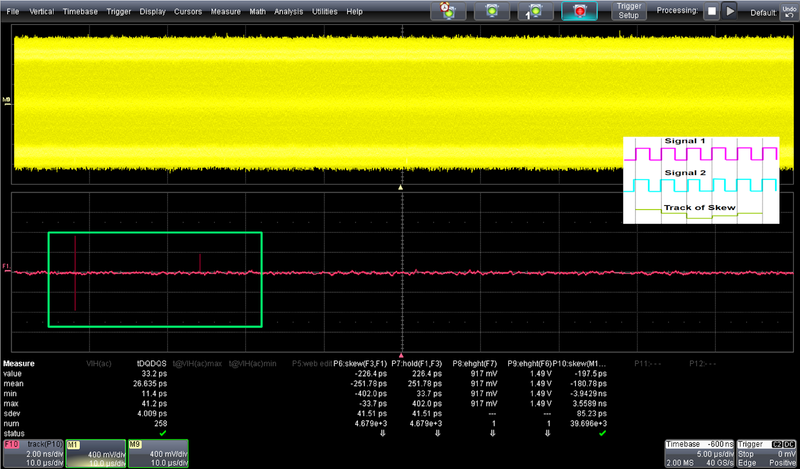 An extremely useful tool for DDR debug is the HDA125 high-speed digital analyzer, which can be used with Teledyne LeCroy's DDR Debug Toolkit to perform some highly insightful mixed-signal analysis. The HDA125 can give you a close look at the DDR command bus. For example, Figure 3 is a screen grab of an instance where there's a command to activate a DDR memory bank followed by four write requests. The HDA125 enables you to trigger on, acquire, and visualize the state of the command bus in this fashion. The top trace in Figure 3 is acquired with analog probes, while digital lines show us what's taking place on the command bus below. This provides the ability, with great certainty, to lock onto reads and writes separately, an important facility when you consider that with DDR memory, reads and writes have separate eye patterns. For DDR debugging purposes, it is useful to look at reads and writes at the same time. 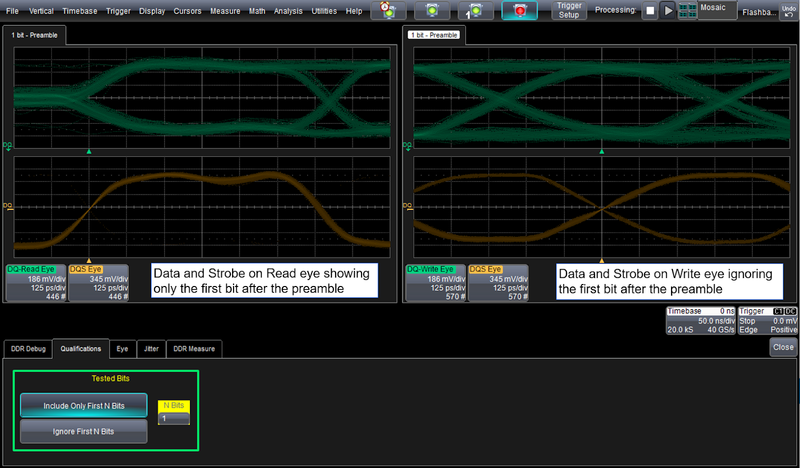 Figure 4 depicts a number of eye-pattern comparisons, such as read vs. clock, read vs. strobe, write vs. clock, and write vs. strobe. There's also an instance of comparing an eye pattern that could be from a device tested the day before with today's results. 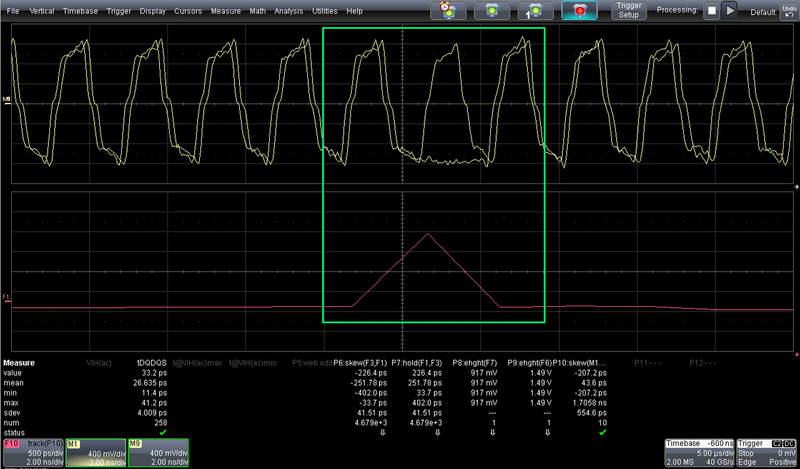 This is another capability made possible by teaming the HDA125 analyzer with the DDR Debug Toolkit and a suitably capable Teledyne LeCroy oscilloscope. Another useful tactic is to perform analysis on the DDR bus by looking at isolated portions of the burst. For example, we might want to see an eye diagram of only the portion of the burst when the DDR signal is coming out of electrical idle. Or, conversely, perhaps we want to ignore that period of the burst and only focus on the DDR signal when it's at either its high or low values. Figure 5 shows examples of both of these scenarios.